Sakari Oramo began his musical career as a violinist, and for some years was leader of the Finnish Radio Symphony Orchestra. He made his breakthrough as a conductor in 1993, and has since conducted many of the world’s most prestigious orchestras including the Vienna, Berlin and New York Philharmonic Orchestras, Dresden Staatskapelle and San Francisco Symphony. Music director of the City of Birmingham Symphony Orchestra (1998–2008), he was awarded honorary doctorates by two English universities, the Elgar Medal, the title of Birmingham’s most popular cultural personality and, in 2009, honoured with an OBE for his services to music in the city. 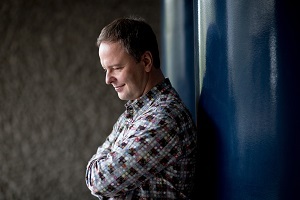 Oramo is currently principal conductor and artistic advisor of the Royal Stockholm Philharmonic Orchestra. In 2013, after nine years as chief conductor of the Finnish Radio Symphony Orchestra, he took up the same post with the BBC Symphony Orchestra, winning the 2015 Royal Philharmonic Society Conductor of the Year award in recognition of his work with the latter. Between 2004 and 2018 he was principal conductor of the West Coast Kokkola Opera, and between 2013 and 2019 he was artistic director of the Ostrobothnian Chamber Orchestra. Sakari Oramo appears on a large number of highly praised recordings, primarily as a conductor but also as a violinist and chamber musician.